You see plenty of tech company founders and CEOs at South by Southwest Interactive in Austin, Texas – many of them building empires at the age of 20. But you don’t see very many "suits." In fact, the prototypical SXSW executive probably looks more like a hipster than a businessman – sporting jeans, some trendy t-shirt and striped sneakers. And, to make things all the more bizarre, you might even stumble upon one of them writhing around the floor of the Hilton lobby, as I did this year at the annual tech convention. (This video will make it all make sense). 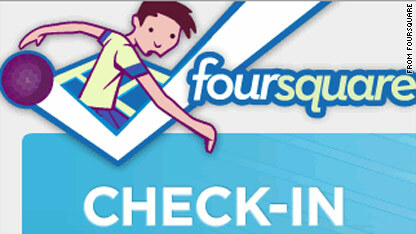 The executive, who was fully embracing the non-square nature of SXSW, was Foursquare co-founder Dennis Crowley. I spotted him in a spontaneous backstroke competition across the hotel lobby floor at 2:30 in the morning. And, no, there wasn’t a swimming pool involved. Danny Newman of id345, an idea consulting firm, defeated Crowley in the match. He told me I had witnessed an annual tradition, already in its fifth year. Newman excitedly said that he remains undefeated in the contest. He also said the backstroke-swimming execs have been kicked out of the lobby in previous years. Not this year, though. Perhaps Crowley and his buddies have earned enough street cred in Austin to ‘check in’ to any hotel here and do whatever they want. Isn’t that how rock stars act? Location is obviously a big theme at South by Southwest Interactive this year - that emerging-technology conference that's going on this weekend in Austin, Texas. Whether you’ve elected to use Austin-based Gowalla or New York-based Foursquare, checking in and sharing useful tips with friends are the major tenets of these location-based applications. But what if you took that concept one step further and consider a specific community? I spoke with the co-founder of San Francisco-based Foodspotting.com about her Web site and mobile app that binds worldwide foodies together in a Foursquare-ish sort of way. “The time was really right for something like this,” said Alexa Andrzejewski, a user-experience designer from Adaptive Path. Andrzejewski traveled to Japan and Korea, where she discovered and developed an appetite for street food. She wanted to inspire Americans to learn about and appreciate other foods from Asia, “aside from sushi,” she said. Plus, she wanted to help people to easily locate those dishes. While in Asia, Andrzejewski noticed a phenomenon: passionate foodies were taking pictures of their fabulous dishes at restaurants and posting them to their social networks. So she decided to create a location-smart food guide, à la Flickr, that would allow people to find, photograph and share specific dishes they crave. Foodspotting launched in January, and it has since grown to 7,000 members. The site features more than 20,000 kinds of foods worldwide. As you would expect, the top cities are foodie havens - San Francisco, New York, and Honolulu. “We’re kind of like the Foursquare of food,” says Andrzejewski, who launched the Foodspotting mobile app a week before SXSW. Food spotters build their reputation whenever someone is enticed by the dishes you spot. For example, you can earn ten points if someone ‘wants’ that pecorino crème brulee you managed to capture in some dessert habitat. You’ll get 25 points if someone nominates or ‘noms’ your dish. Your guilty pleasures can even pay off in the form of badges - bronze, silver, gold, platinum - earned for spotting the same dishes and food types. Addicted to tiramisu? Spot it 50 times and you’ll earn the platinum expert badge. Andrzejewski says she plans to add more game-like features in the coming months. Foodspotting also offers scavenger hunts for food enthusiasts. 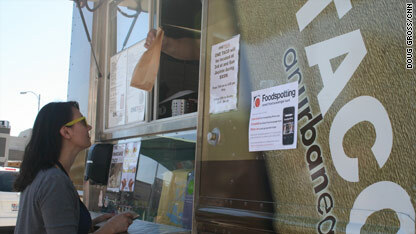 I decided to attempt Foodspotting’s ‘SXSW Street Food Scavenger Hunt’ in Austin with iReport Senior Producer Lila King. Our first taste was a heavenly pancake taco at the One Taco truck. I’ve never been a fan of breakfast burritos or even breakfast for that matter. But let’s just say if a pancake taco truck roamed the streets of Atlanta, I’d earn that platinum badge in no time at all. Location, location, location! They say it’s the three most important factors to consider when buying a home. Now perhaps it’s also the case when it comes to taking your social-networking prowess to the next level. Chances are you’re already seeing some of your social media pals fill up your streams with "check-ins" from Austin-Bergstrom Airport in Austin, Texas. Some 45,000 people are expected to visit Austin this weekend for the annual South by Southwest (SXSW) festival, which includes a five-day tech conference. The massive pilgrimage to the Mecca of big ideas and innovations (Twitter in 2007, Foursquare in 2009) has already begun. Make way for the invasion of the laptop-toting, smartphone-packing, wireless network-armed hordes! One of the pervasive themes for this year’s festival is location-based social networks (or ‘LBS’ for those in the know). “Checking in” hasn’t been this cool since… since… well it’s never really been cool to check in (especially when you were a teen driver and your Mother made you check in at every destination). 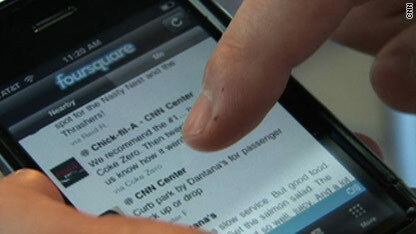 Services such as Foursquare, Gowalla and BrightKite allow users to “check in” at local establishments so that network friends know their whereabouts. You can use services on your mobile device to find places that have been recommended by your friends, or by strangers. Variety is the spice of life! I look to user tips and recommendations to help guide me to new menu items and restaurants all the time. We’re still in a recession. More and more businesses are using customer-loyalty programs to offer discounts or freebies to LBS-savvy patrons. Mayorships, badges, leaderboards and bragging rights are just plain fun. Location-based networks like Foursquare and Gowalla are red-hot. BrightKite has been around even longer than those rising stars. Google Buzz allows for location-sharing. Twitter is currently unleashing its geolocating tools. Facebook is reportedly planning to roll out location features next month. As the “geolocation wars” heat up and the mobile Web grows, the need to reveal to others our current whereabouts at all times seems to reverberate deeper across the social Internet with each GPS-enabled check-in. The SXSW "land grab" is set. The battle for "Mayorships" of hundreds of Austin venues will be up for grabs this weekend – wish me luck with one or two!